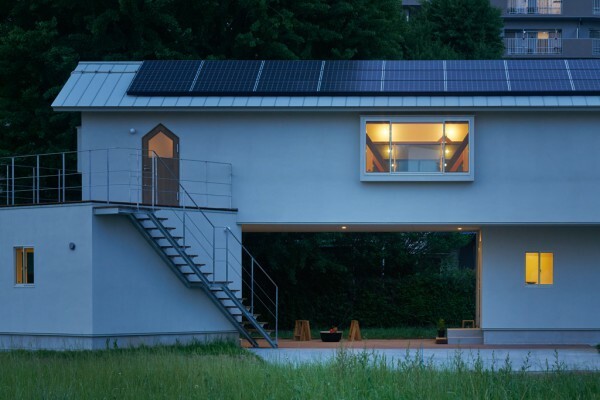 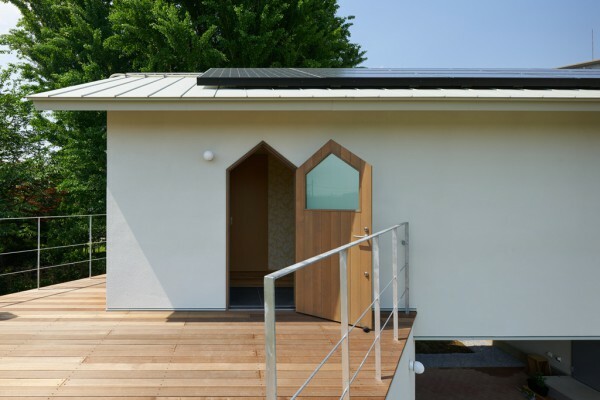 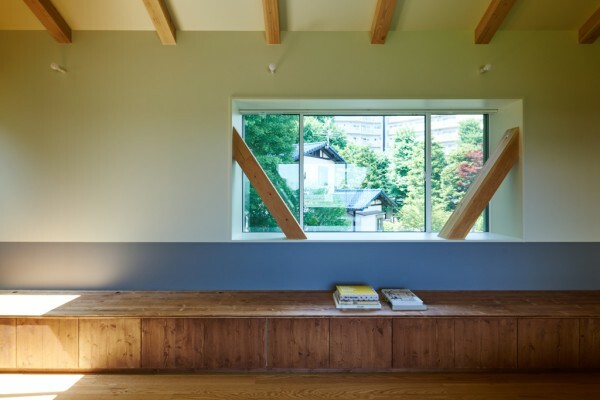 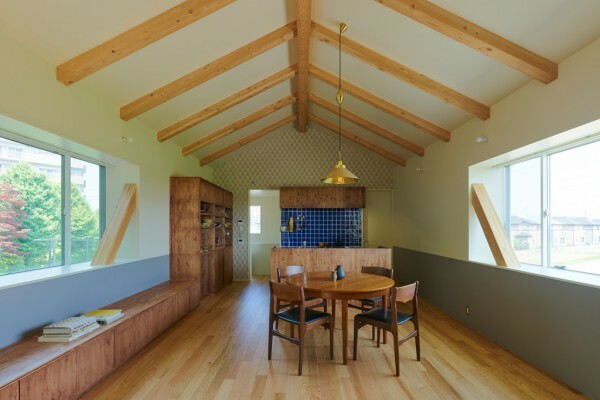 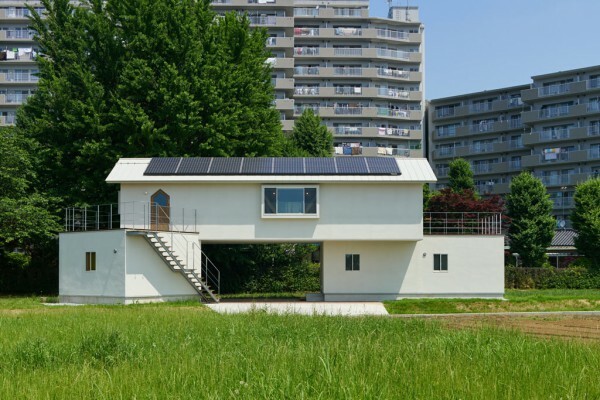 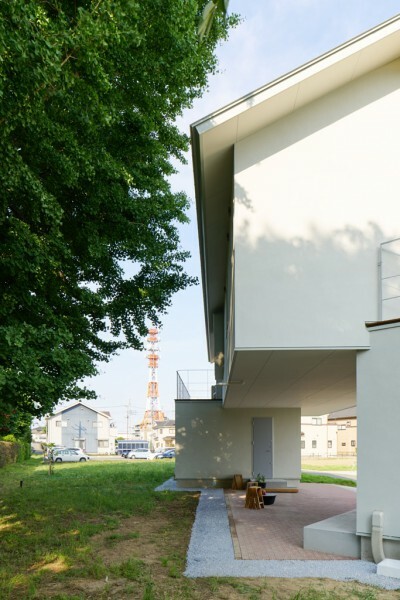 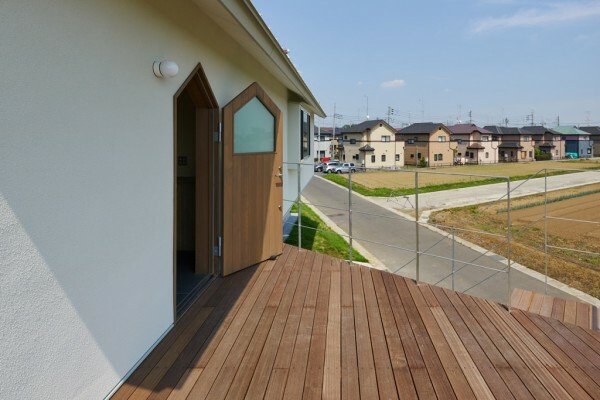 This two-storied wooden house was built in a suburb of Saitama for a couple and their two children. 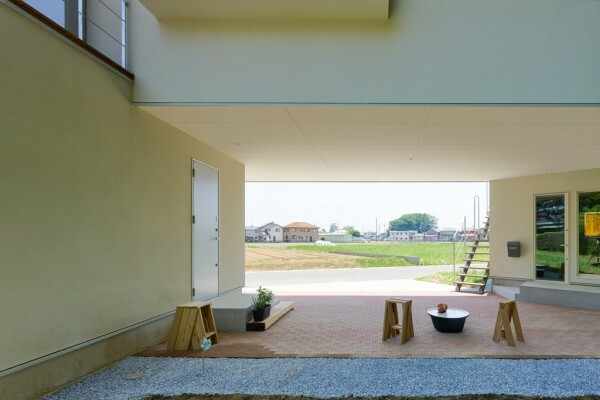 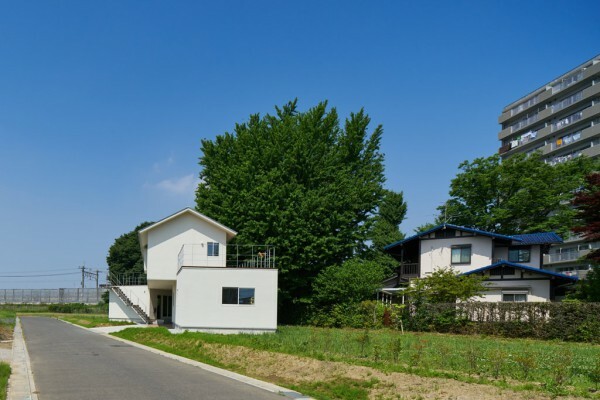 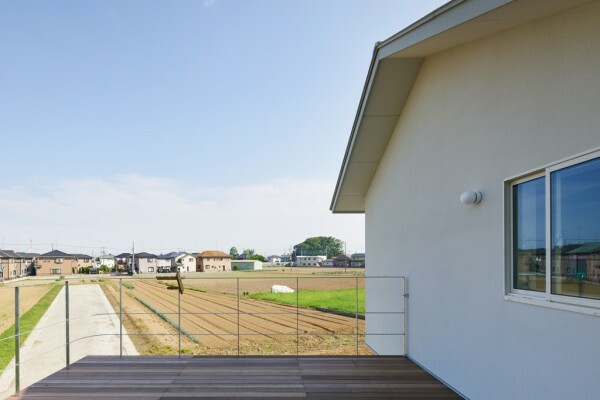 The plot sits on a narrow band of land stretching East to West and is flanked on the southern side by farmland and on the northern side by gingko and cherry trees, beyond which stands the residence of the client's parents. 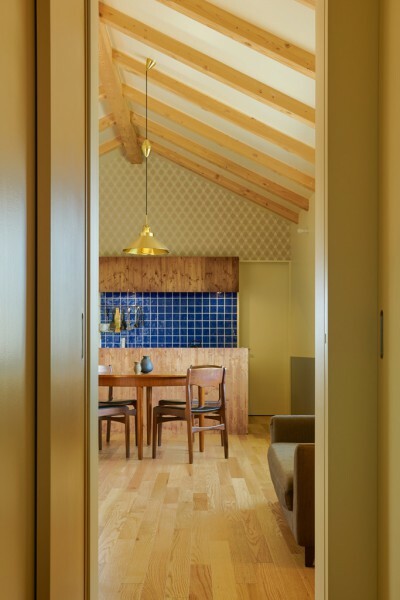 The client wanted a house that combines functionality and design and provided us with pictures of camping backpacks from the beginning of the design process. 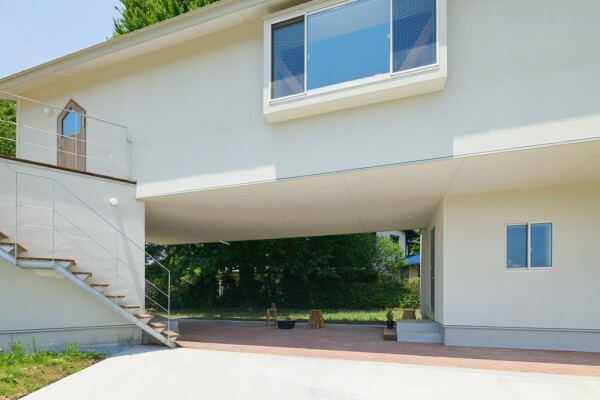 Inspired by the client's desire to have the main living area on a second floor separate from the ground, we created a structure consisting of three stacked rectangular volumes corresponding to the living room, the bedrooms and a studio. 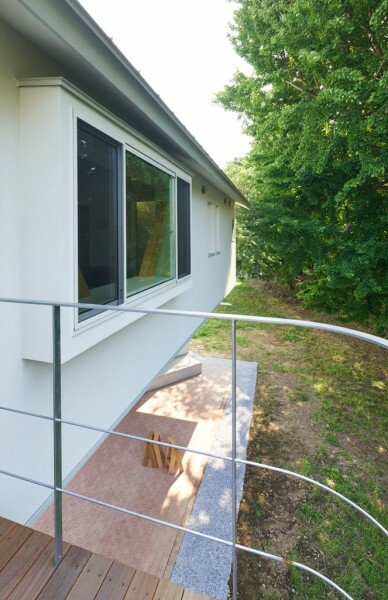 The living room volume is the main living environment for the whole family and offers a great view of the scenery of surrounding trees and fields as it rests atop the bedroom and studio buildings like a bridge connecting the two. 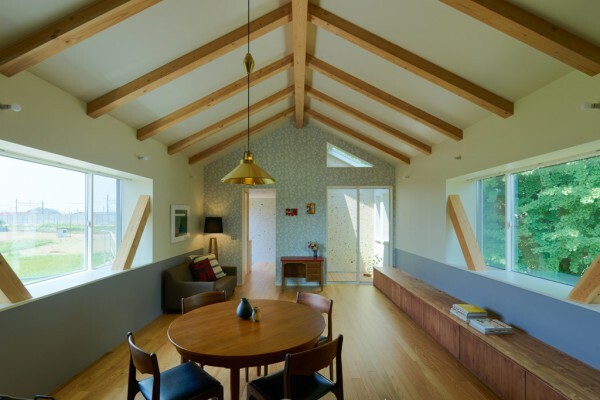 In addition, by literally constructing a truss structure around it like a bridge, we were able to realize a column-free interior and a freestanding space below like a house on pilotis. 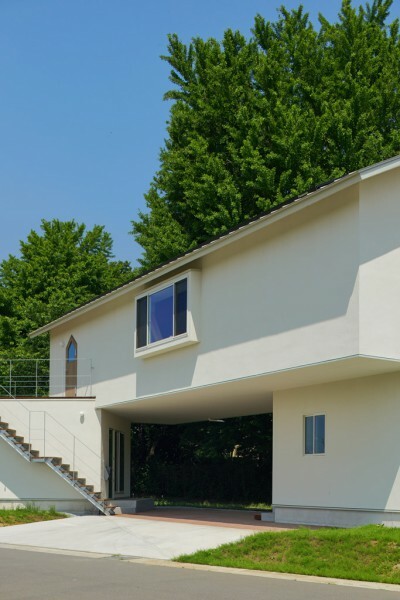 The three volumes were placed at an angle with respect to the lot and the upper and lower floors were shifted relative to each other due to the relationship between the openness of the pilotis configuration and the trees behind it and the access from the outside and so on. 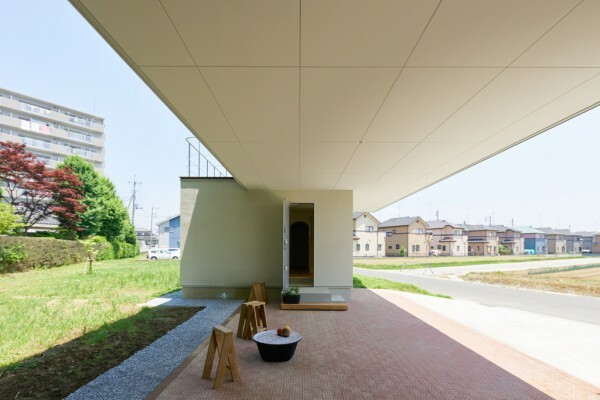 The deviation creates a terrace on the second floor overseeing the surrounding open environment. 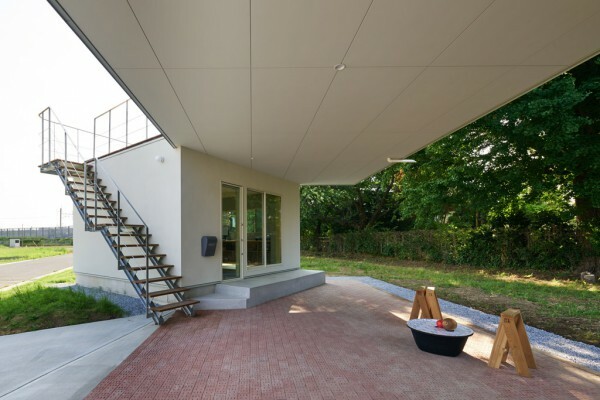 The freestanding area on the first floor is an open space to be used as a parking space or a children's playground, and it is also a pathway allowing to go back and forth between the parents' house and the client's without creating a detour. 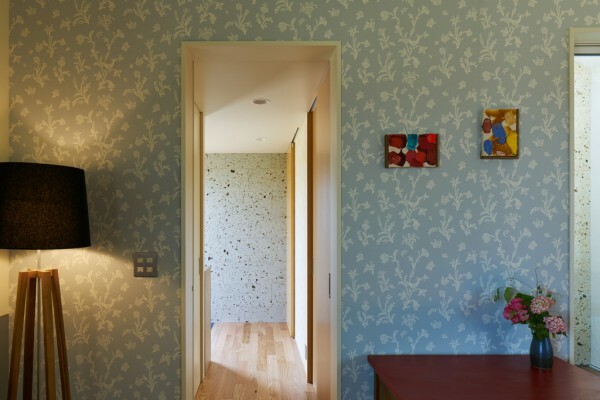 We collaged the interior walls with wallpaper, tile, stone, etc., chosen by the client who is herself a designer. 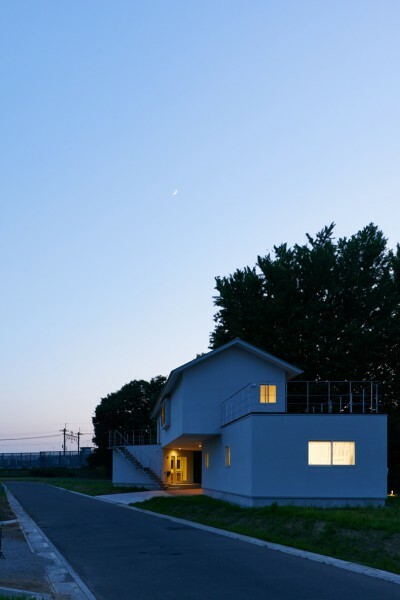 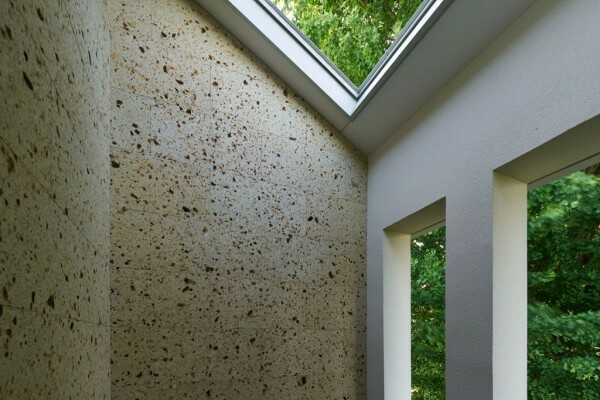 Conversely, we chose a pure white exterior material to highlight the shape of the house. 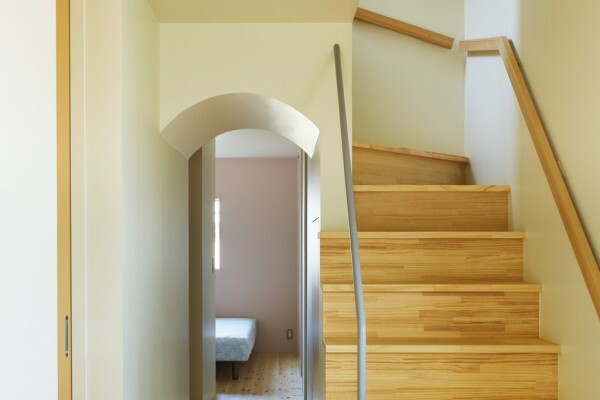 This choice also symbolizes family ties with the parents' house next door. 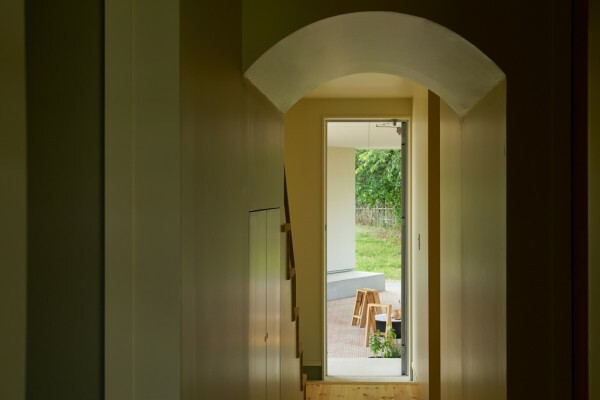 By disassembling the volume of a two-storied building typical of suburban housing and rebuilding it while leaving space, we strived to create a rich living environment that opens the inside of the house to its surroundings.